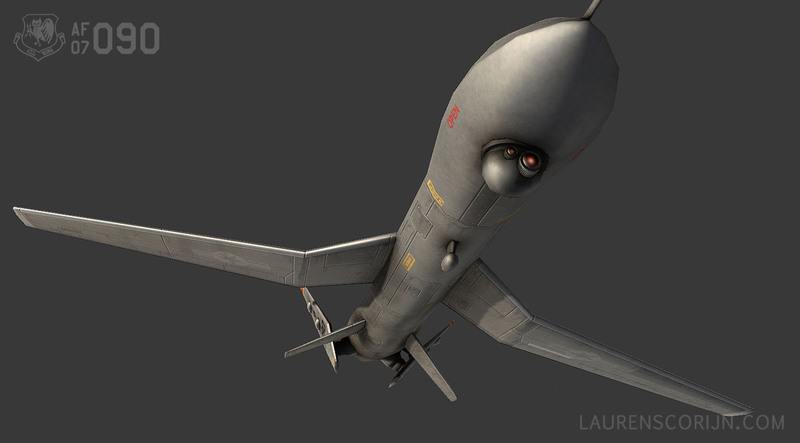 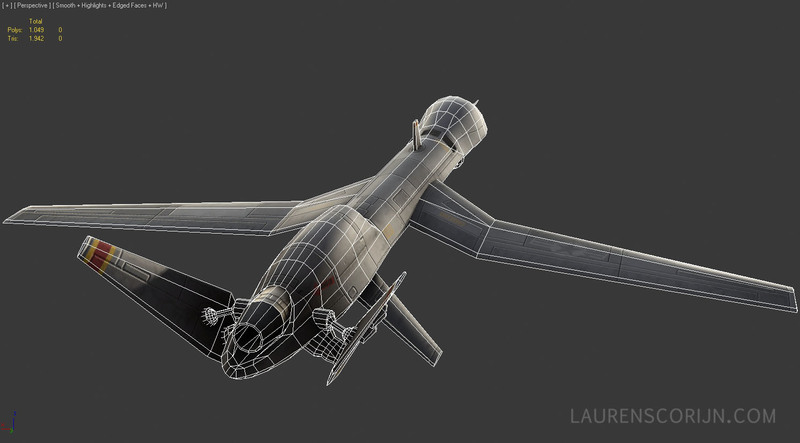 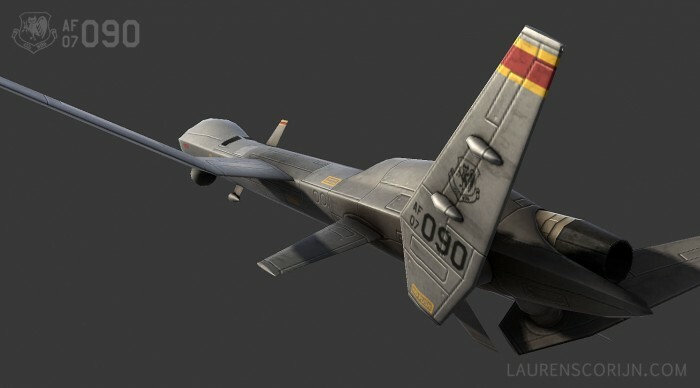 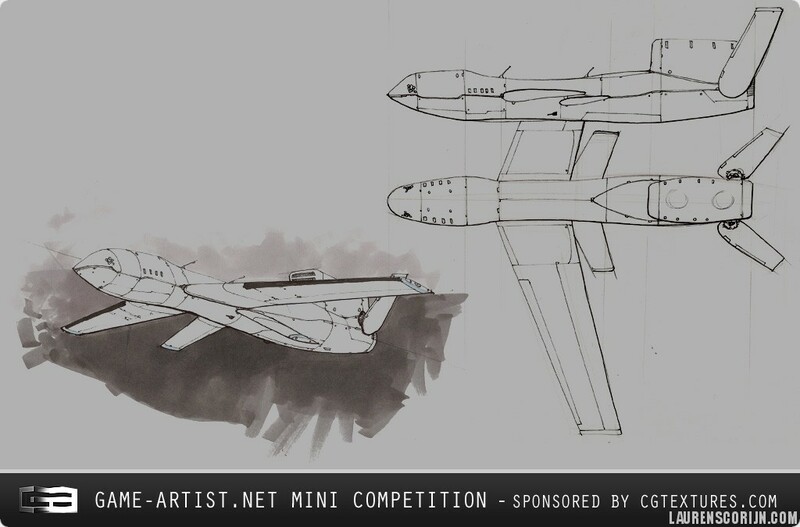 A fictional UAV I made for the game-artist.net mini competition. 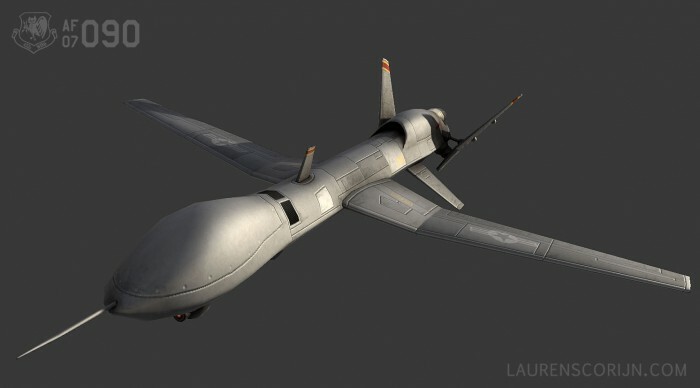 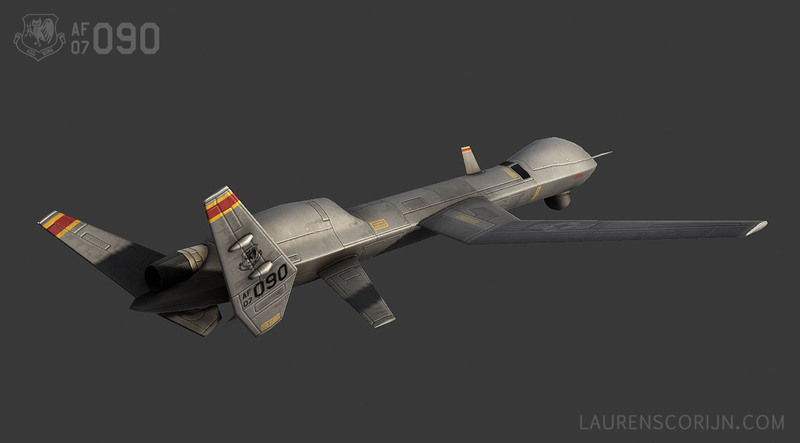 It was loosely based on a concept provided by them, but I changed and improved a lot of design features, taking a lot of inspiration from the MQ-9 Reaper UAV. 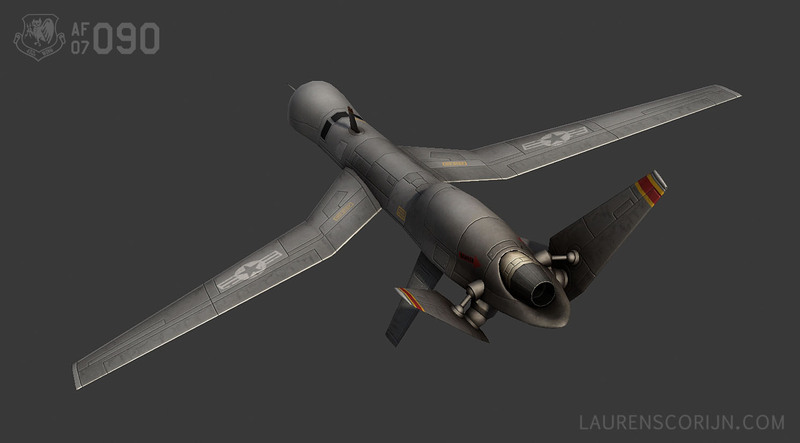 The model stands at 1942 tri’s with a 1024 diffuse, normal and specular texture. 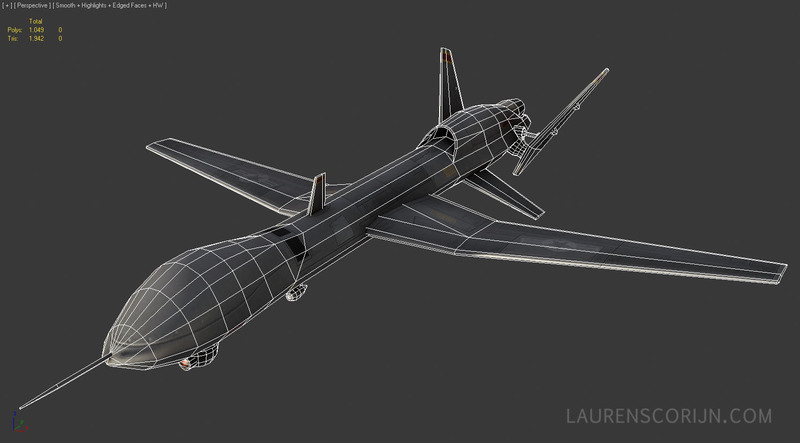 Presentation was done in 3DS Max 2010 with my shader.